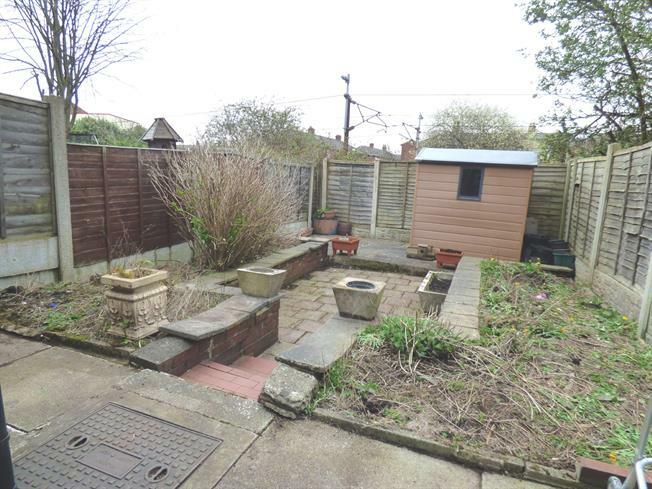 3 Bedroom Terraced House For Sale in Preston for Asking Price £104,950. Extended three bedroom family home requiring some modernisation, boasting two reception rooms and private enclosed rear gardens. No chain delay and viewing highly recommended. Situated within a quiet crescent location offering access to local amenities, schools and local park. The generous accommodation briefly comprises; vestibule, lounge, dining room, extended breakfast kitchen and downstairs wc, to the first floor, three bedrooms and modern shower room. Triple glazed leaded windows to the front, double glazed to the rear, low maintenance private rear garden. Call now to arrange your viewing on 01772 823021. Triple glazed leaded window to the front, electric radiator and electric fire. Leaded windows and door leading onto the breakfast kitchen, electric radiator and under stairs storage. Double glazed window and uPVC door to the rear, range of wall and base units with complementary work surfaces, stainless steel sink and drainer, electric hob and oven with extractor, part tiled walls and double glazed Velux window to the rear. Single glazed window to the rear and low flush wc. Staircase leads from the dining room to the first floor landing, skylight and loft access. Triple glazed leaded window to the front and electric radiator. Double glazed window to the rear, fitted wardrobes and electric radiator. Triple glazed window to the front. Modern three piece suite comprising; shower cubicle, wash basin with vanity unit, low flush wc, part tiled walls and double glazed window to the rear. Fence enclosed low maintenance rear gardens with paved patio and shrub borders, shed and gated access to the lobby.